Solveig Gin is the first release from Far North Spirits, a family farm-based craft distillery in northwestern Minnesota. This field-to-glass spirit is born of winter rye planted and harvested by the distiller. Solveig [SOUL-vai] is a traditional Scandinavian woman's name that combines the elements of sun (sol) and strength (veig). The delicate gold pattern on the milk-glass-like white bottle hints at the flavor of this soft, citrus-forward, floral gin. Ålander is a small batch whole-spiced rum, the second release from Far North Spirits. Ålander is named after the Åland Islands, an idyllic chain of islands located between Finland and Sweden in the northern Baltic Sea. 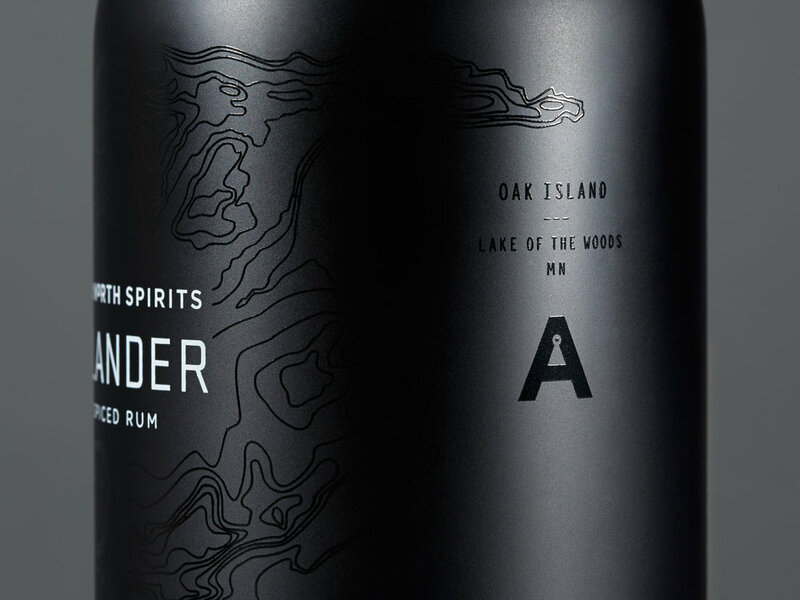 The bottle reveals a topographic map of Oak Island in Lake of the Woods, MN, a nod to Minnesota's lake culture and the location of the distiller's family cabin. 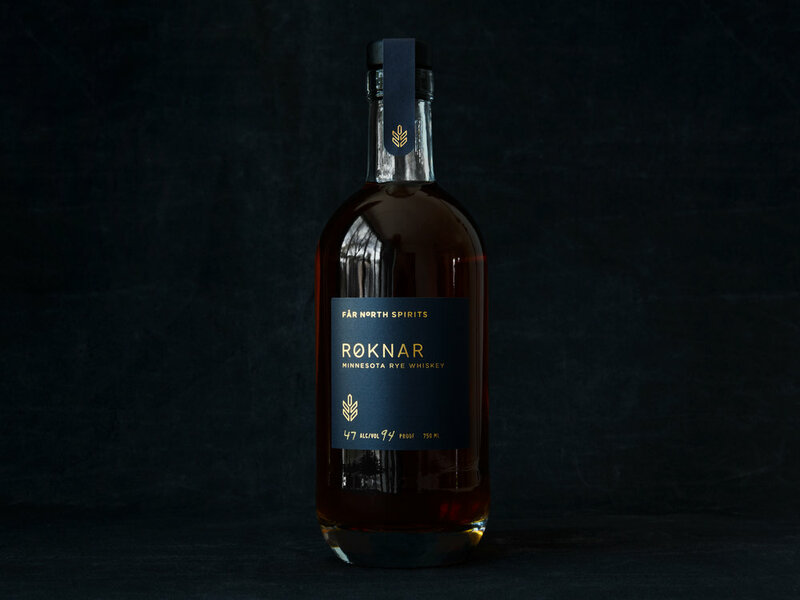 Roknar is a single estate rye whiskey born of grains grown and harvested by Far North Spirits' head distiller on his family farm in Hallock, Minnesota. 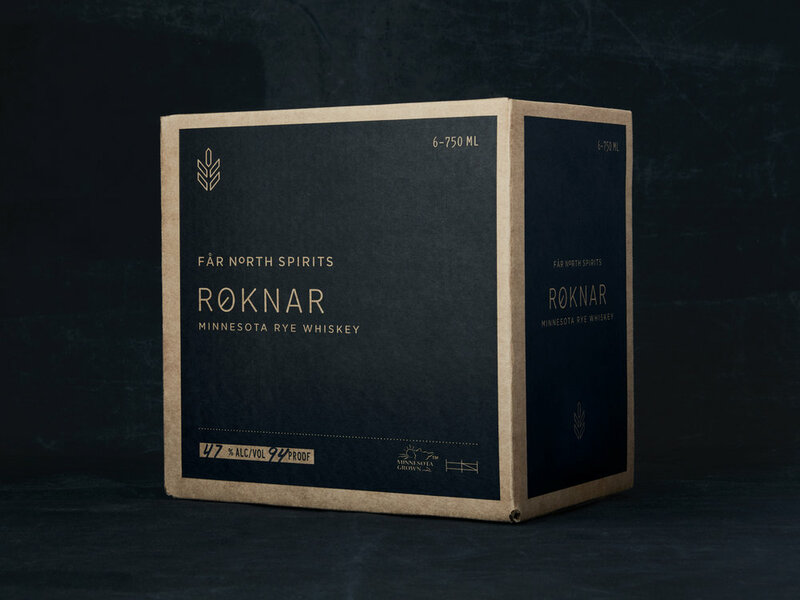 Roknar is milled, fermented and distilled in very small batches, and each batch is individually proofed upon bottling. Roknar is a Scandinavian name which means "Warrior from the Gods" in ancient Norse. 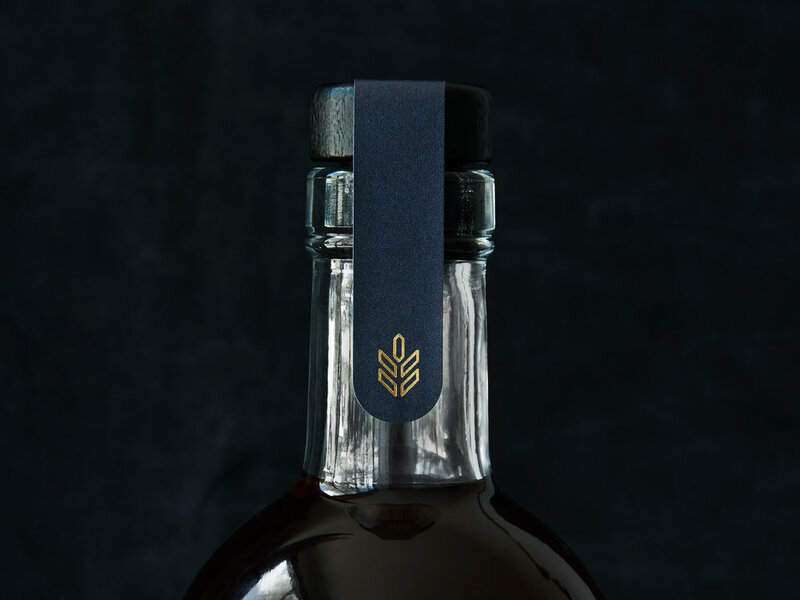 Far North Spirits’ Syvä is a single estate rye vodka made from grain grown and harvested by the distiller. 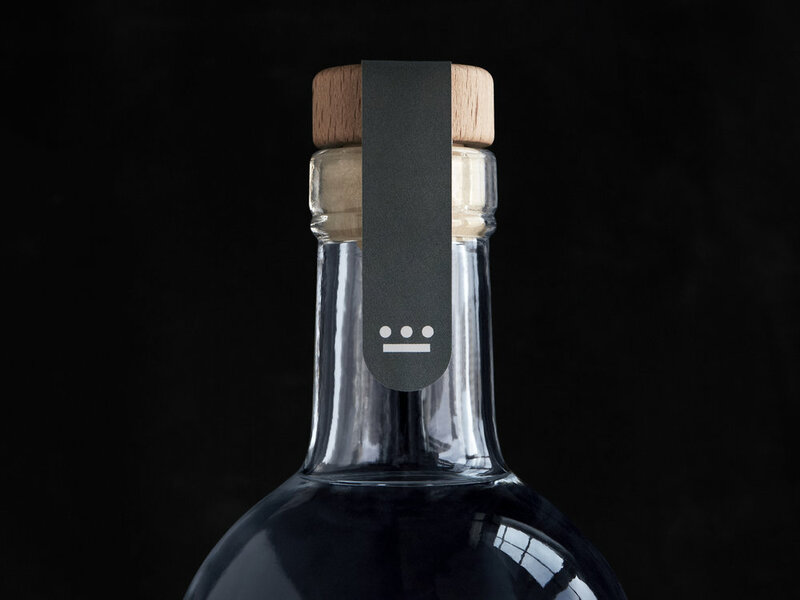 Finnish for "deep", the name Syvä points to the depth of artisanal methods used in crafting this Nordic-inspired, small batch vodka. 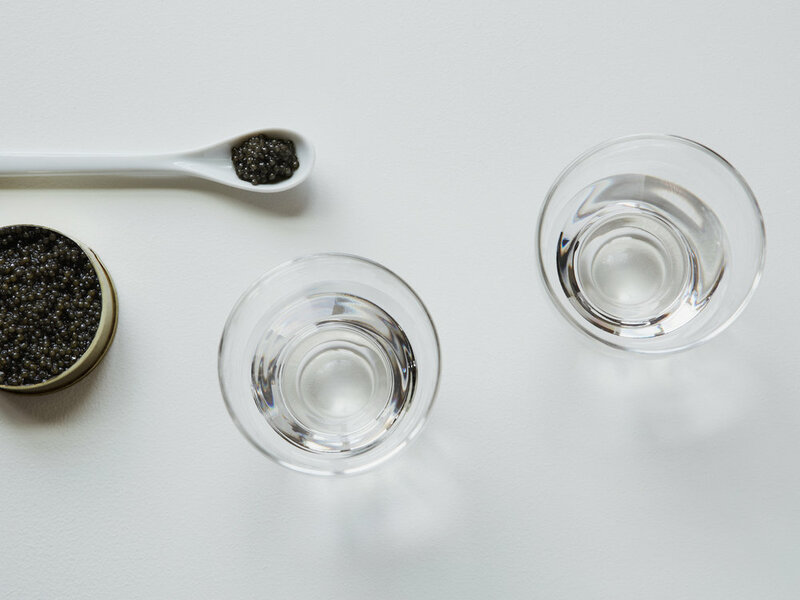 Syvä’s distinctive depth of flavor makes it an ideal vodka for sipping chilled, paired with briny caviar and other delicacies from the sea. 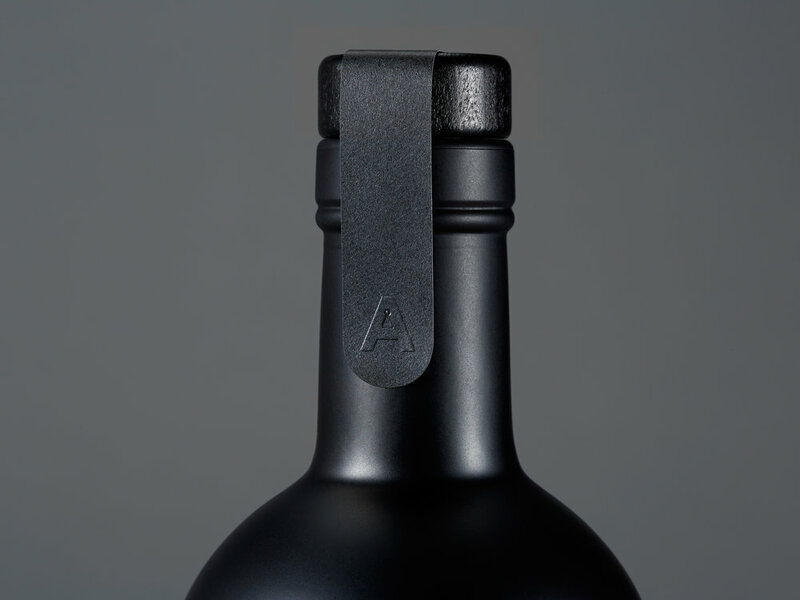 The design reflects this complexity and richness of flavor with a nod to the sea — an intricate sea urchin is embossed on its matte gray label. 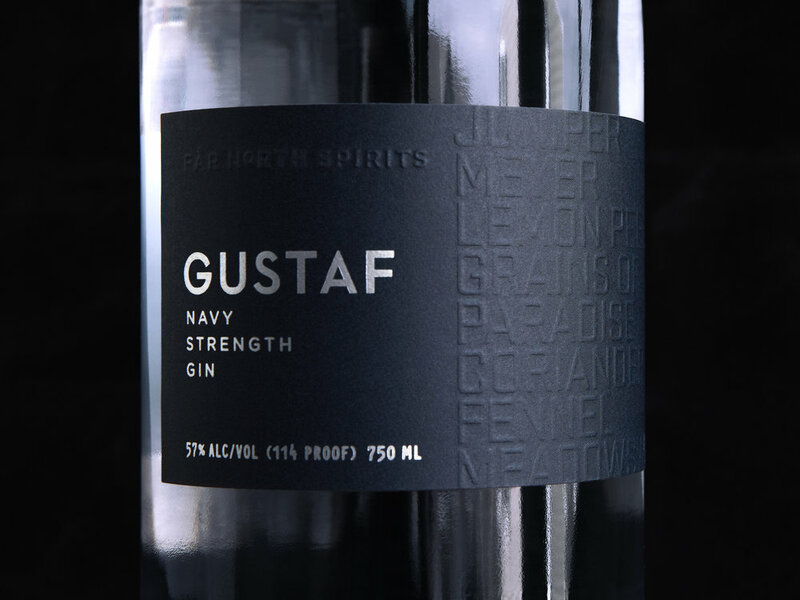 Far North Spirits' Gustaf is named for the distiller's great grandfather, who emigrated from Sweden in 1917 and built the family farm in northern Minnesota where the distillery is located and grows the grains for its spirits. Key botanicals used to create this bold, bracing London Dry style gin adorn the label as a blind emboss texture. 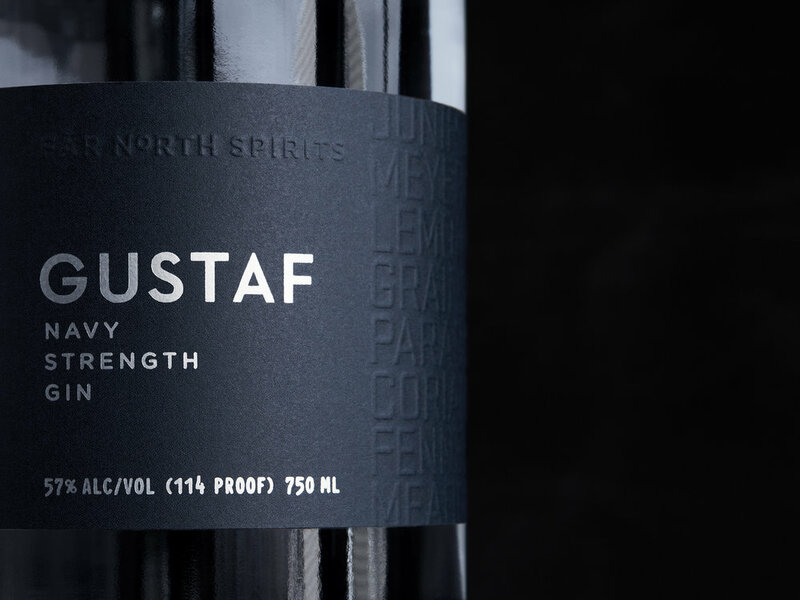 The design draws further inspiration from Grandpa Gustaf's Scandinavian strength and stoicism as well as the distiller’s intention of creating a true heritage spirit, as reflected by both the gin's ingredients and pedigree. Roknar Rye Whiskey, Bødalen Bourbon Whiskey, Liqueurs, Far North Spirits.